This is our Satellite Photograph. It didn’t happen the day of the event as planned due to technological difficulties but it did happen yesterday. 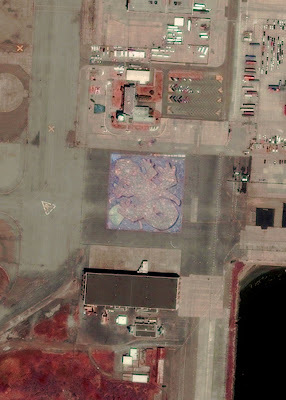 Still, pretty cool to see our drawing seen from outer space, photographed from a satellite! Thank you GeoEye!